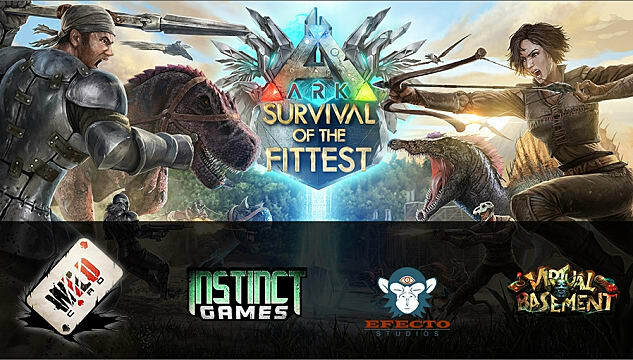 For those who have just always wanted to live their own personal Hunger Games and viciously kill other competitors for the grand prize, Ark: Survival Of The Fittest more than fits the bill. Just for fun, there's also dinosaurs and giant killer animals. Bonus, right? But before the inevitable legal action arrives and the fun comes to an end, you're going to need some help staying alive when there are 24 – 71 other people actively trying to kill you in any given match. Rather than a MOBA or an FPS death match, Ark is really more accurately called a Multiplayer Online Survival Arena – your goal isn't so much to wrack up kills or taken down enemy positions, but rather just to stay alive while battling the environment. With the right Survival Of The Fittest strategies, you might just manage to live a solid 5 or 10 minutes, and with some practice, eventually even come out on top. As of this writing, the game is still early access and the optimization isn't quite all the way there yet, so get ready for bad frame rates and jagged textures getting in the way of your struggle to stay alive. 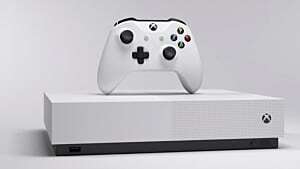 Although it might bother the PC fanatics who crave an extremely high end graphical experience, I recommend turning all the graphics options down while you learn the basics. Since you are also likely to get killed pretty quickly by more experienced players in your first few matches, its worth going into the Unofficial mode before pulling up the Official servers and watch your ranking tank. When you finally get into a match with a full 25 – 72 players (depending on whether you went with Free For All or any of the Team modes), don't just waste time running around the lobby pointlessly punching people or jumping up and down. Instead, take the time to look down through the translucent floor. 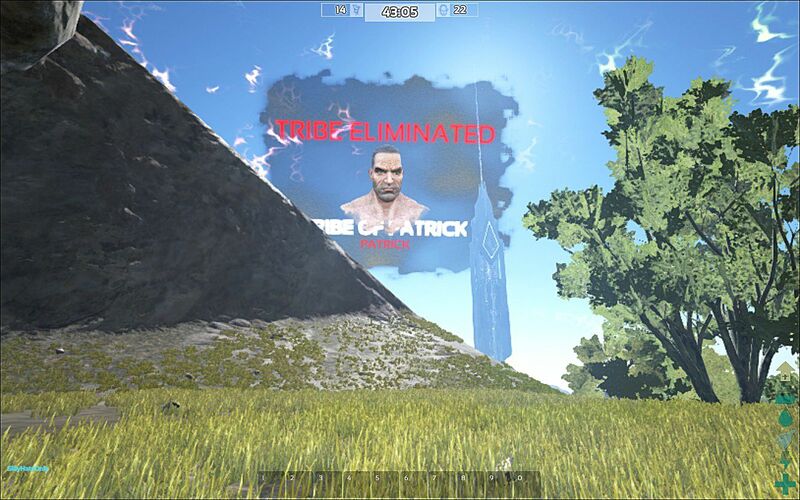 In the three minutes before each match, you have a clear view of the entire Ark island arena. This is scouting intel gold literally at your feet! See all the people doing pushups and punching? They're doing it wrong. Learn the layout so you know where you want to run as soon as you drop down to the central area. 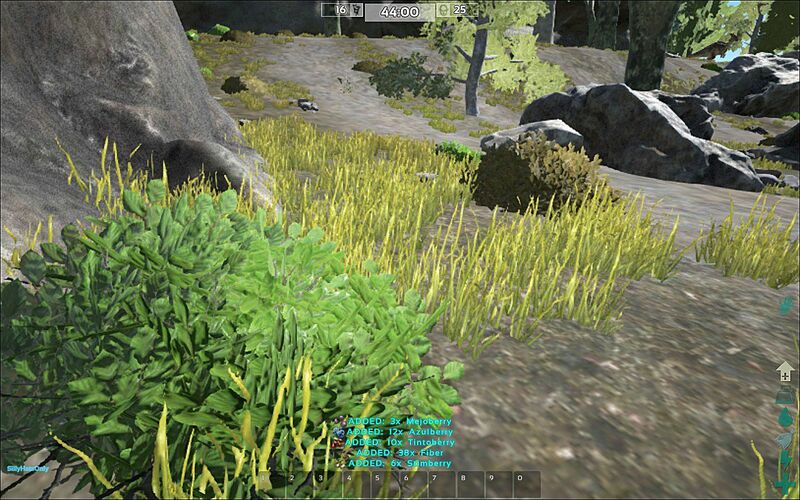 Pay attention to where there are large groupings of trees to get wood for crafting, and make a note of where you want to hole up or what area you want to try to ambush other players at ahead of time. Run like hell to the center and hope you pick up something useful in the boxes before the guy next to you. Avoid that death trap entirely and head into the woods immediately, lying in wait for the people who think they are going to dominate because they got a weapon early. Gaining an early advantage is crucial, as everyone starts out essentially naked and weaponless. Having a stone club when everyone else just has fists makes you the most powerful dinosaur hunter around for a little while. It's easy to get in several kills as other players make a dash for the boxes – but only if you get there first. It's just as likely someone else reaches that crucial weapon box and you will get killed before the game has even really begun. Woah you got a club? Start bludgeoning people already then! Frequently the more prudent strategy is to turn around and jump off the ledges into the surrounding area (don't worry about falling damage – it's disabled at the start of the match). While the other players are killing each other over the boxes, you can be busy picking up crafting material, making armor and weapons, and taming dinosaurs. 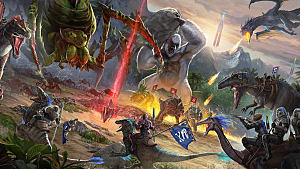 It doesn't particularly matter if someone managed to nick a spear and kill all the other looters if you are riding a giant carnivorous lizard when he arrives. No matter which tactic you take, it's important to learn the hazards of whatever area of the island you ran towards. Each section has different environmental and animal hazards that can kill you much more quickly than other players. For instance, don't hit the little lizards lying prone on the ground unless you have a ranged weapon, as they get up and fly when injured. There's not much point in trying to punch them to death as they sting you from above. Remember the original Jurassic Park? The Survival Of The Fittest developers sure do. Some dinosaurs can spit an acidic tar that obscures your vision. While learning the ropes, also be sure to stay out of the river unless you really want to be eaten by a giant piranha you won't see coming. Woops, guess I had butter fingers. 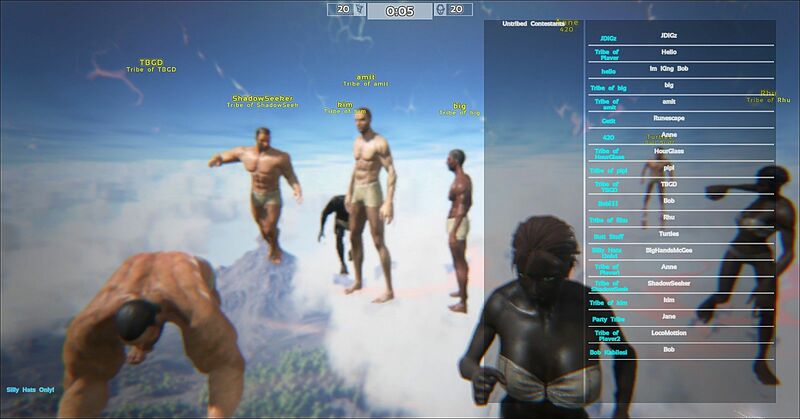 For a game that frequently only lasts minutes for the vast majority of the players, there's actually a really in-depth crafting and building system in Ark. Not many games have a “defecate” button (or have you pick up your own feces to use as a crafting item afterwards). Staying ahead of the competition in the crafting arms race is crucial to surviving to the end of the match. The most important Survival Of The Fittest tip to remember here is that you can grab materials even while sprinting at full speed. Unless you are fighting or jumping, there really shouldn't be a time you are running that you aren't also tapping “E” repeatedly. 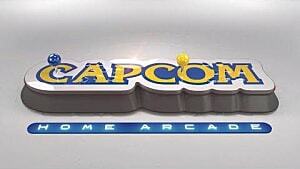 Keep in mind your weight limit though, which is indicated by the blue pack in the lower-right corner of the screen. 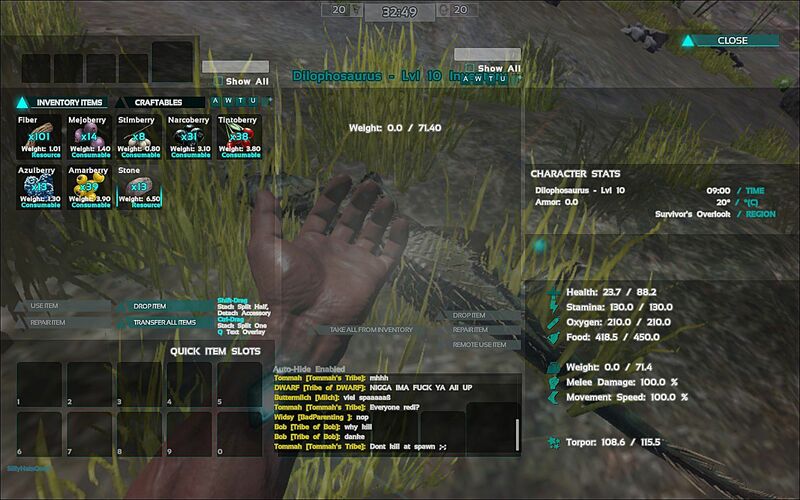 Crafting materials aren't marked – you just have to grab at bushes, piles of rocks, etc. 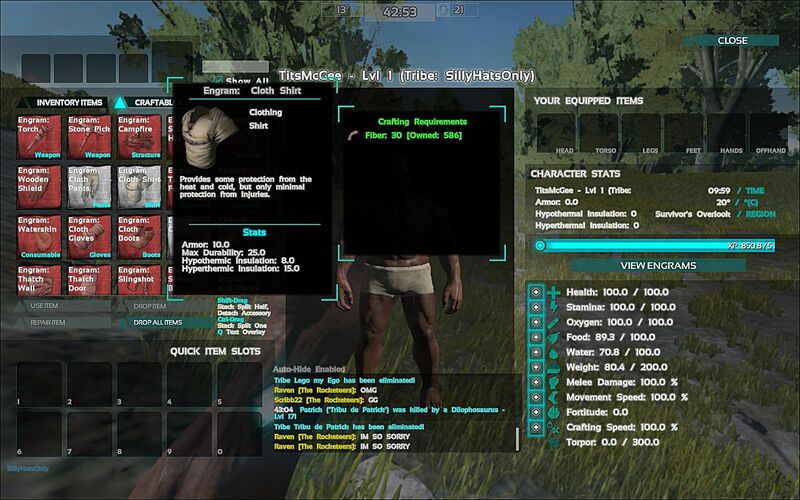 Your first crafted object should probably be cloth armor so you can survive slightly longer, and that means picking up large quantities of fiber in bushes. 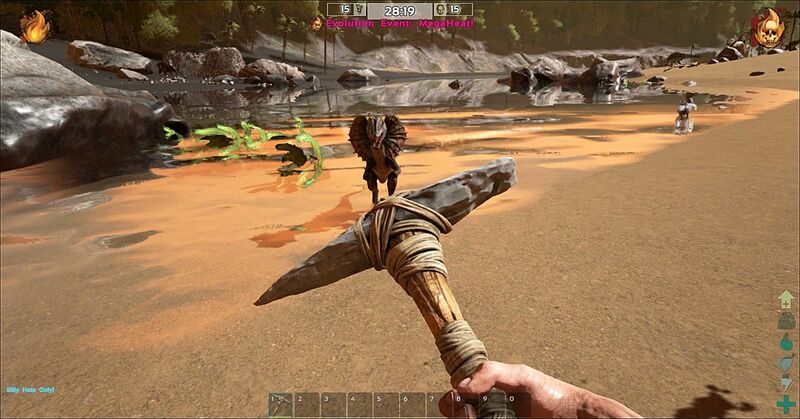 Next up should be a weapon, which means breaking trees and rock formations to pick up wood and flint. You can use your hands instead of a stone tool, but be aware this causes damage to you. After grabbing some crafting materials (while running wildly away from every other player), find a nice hidden spot to crouch and hit “v” to pull up the crafting screen. Don't ever do this if you are in an open area, have recently seen another player stalking around, or are anywhere within sight of a dinosaur. 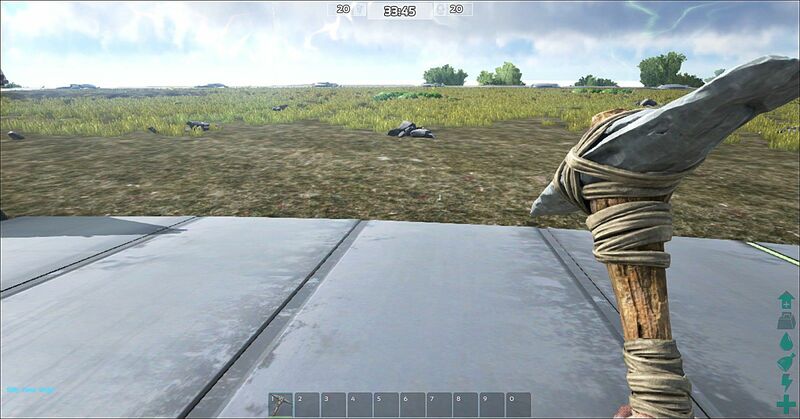 Distracted players are dead players in Survival Of The Fittest. While plenty of the competition is going to get eaten by lizards, burned to death by acid rain, or get picked off when they break bones, eventually you are going to have to kill somebody else with your own two hands. As with nearly any video game, of course head shots are what you want, whether you are facing off against a player or a dinosaur, but pay close attention to where your opponent is armored, as the game uses a location system. If the player has armor on their head and chest, aim for the arms and legs instead. 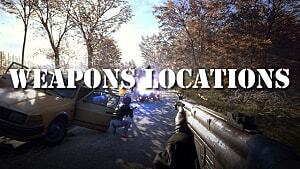 Your weapon options will be quite limited at the beginning of a match. Anything above fists is a good choice, but some weapons are better than others. Having a bow and some arrows puts you at a huge advantage, but pulling back for a full power draw takes a good deal of time. Thrown spears actually do more damage than the basic arrows, especially if you get a head shot, and you can use them in melee, making them a better early game option. When you or your tamed creatures are damaged, it's time to pull out the berries for a health boost – but going into your inventory to do so takes way too much time and is deadly in the middle of a fight. Staying alive means learning the keys ahead of time and setting hotkeys as soon as you get started. Those couple of seconds make all the difference in this struggle for survival. In general, hiding and staying away from open areas is the best strategy to stay alive, even if you have decent weapons and armor. 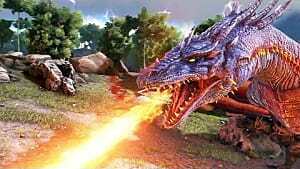 Killing from range or using your tamed beasts is a better bet than getting into close combat. Even if you haven't tamed any dinosaurs yet, you can still use them to your advantage. 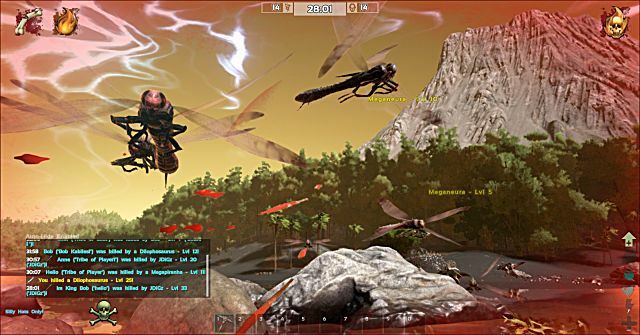 They attack anyone or anything, so if another player is chasing you with a spear and you don't have anything to properly fight back with, there's really no downside to hurtling towards a carnivorous monster, running into the territory of angry flying giant bees, or risking a swim in the piranha-infested waters. Yes, you do want to ride him into battle. 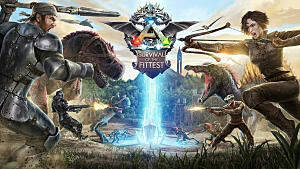 Those are all the Ark: Survival Of The Fittest basic strategies you need to know to get started and stay alive. 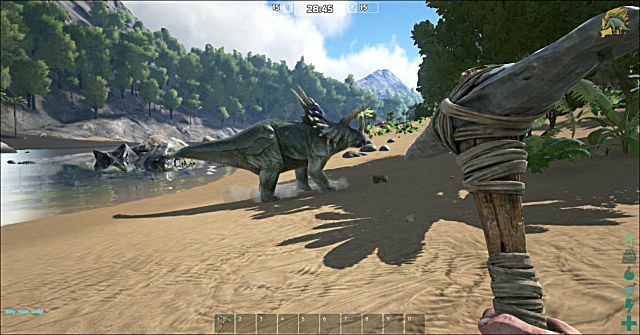 Check back soon as we'll also be covering the crafting system, evolution events, and dinosaur taming mechanics in much greater detail. 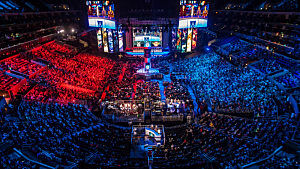 The Fault in Our Games: Are Pre-Release eSports Tournaments a Troubling Trend? 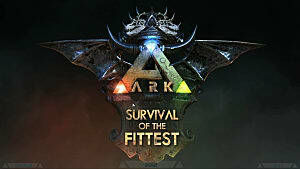 ARK: Survival of the Fittest heading for PS4!